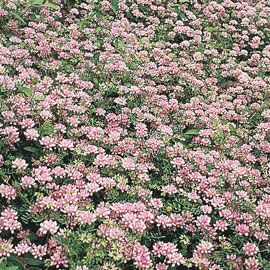 Penngift Crown Vetch | Henry Field's Seed & Nursery Co.
Nice and thick, 1 1/2 ft. high, loaded with pink flowers late spring to frost. Roots deeply to end soil erosion and crowd out weeds. Ideal for sunny, hard-to-mow slopes! 6 plants cover 18 sq. ft. Bareroot. Zones 3-9. No. 1 bareroot. 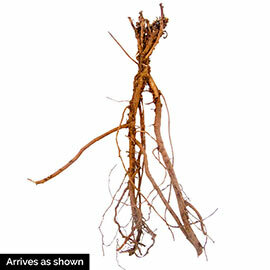 For each offer ordered, get 6 bareroot plants. Depth: Plant with crown at soil level. Blooms: Late spring to frost. 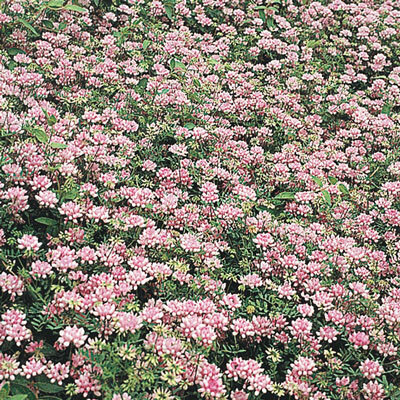 Flower Form: Pinkish-white blossoms from late spring to frost. Soil Requirements: Well-drained soil. Adaptable to a wide range of soil types. Growth Rate: Slow growth in first season, fast thereafter.